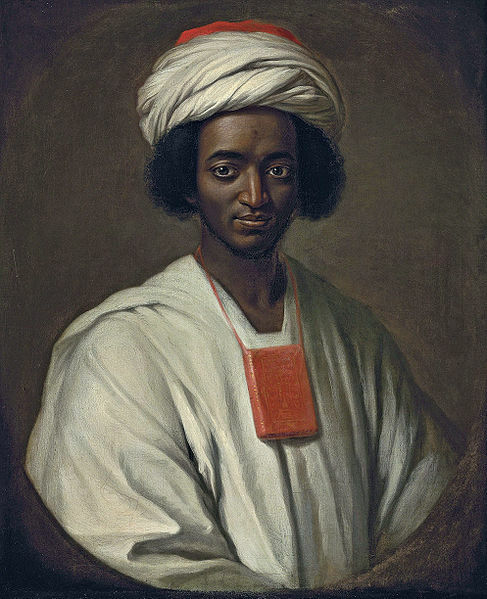 Ayuba Suleiman Diallo – Muslim Museum UK – Uncover the 1400 year relationship between Britain and Islam. Explore the history and heritage of Muslims in Britain. Ayuba Suleiman Diallo (1701–1773), also known as Job Ben Solomon, was a famous Muslim who was a victim of the Atlantic slave trade. Born in Bundu, present day Senegal (West Africa). In 1730, Suleiman became a victim of the ever-growing slave exploitation. He was sold to factors of the Royal African Company. (The Royal African Company was a mercantile company set up by the Stuart family and London merchants to trade along the west coast of Africa. It was led by James, Duke of York, Charles II’s brother). 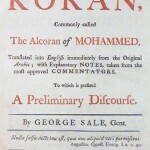 Suleiman was sent across the Atlantic to Maryland, and was purchased by a Mr. Tolsey. Suleiman ran away, but was recaptured and imprisoned at the Kent County Courthouse. It was there that he was discovered by a lawyer, Thomas Bluett. Upon our Talking and making Signs to him, he wrote a Line or two before us, and when he read it, pronounced the Words Allah and Mahommed; by which, and his refusing a Glass of Wine we offered him, we perceived he was a Mahometan, but could not imagine of what Country he was, or how he got thither; for by his affable Carriage, and the easy Composure of his Countenance, we could perceive he was no common Slave. Mr. Tolsey allowed Suleiman to write a letter in Arabic. It eventually, reached the office of James Oglethorpe, Director of the Royal African Company. After having the letter authenticated by John Gagnier, the Chair of Arabic at Oxford, Oglethorpe purchased Suleiman for ₤45 and requested he be sent to the offices of the Royal African Company in London. Bluett and Suleiman traveled to England in 1733. Englishmen in London and surrounding provinces who had met Suleiman in England collected money so that he could obtain a “freedom in form” from the Royal African Company. Suleiman met many of London’s elite, obtaining many gifts and new friendships, including the royal family and the Duke and Duchess of Montague. He was at a time employed by Sir Hans Sloane through his newly acquired ability to translate Arabic into English. (Sloane was a collector, notable for bequeathing his collection to the nation, thus providing the foundation of the British Museum, and Sloane Square in London is named after him). In July 1734, Ayuba returned to Gambia and later returned to his homeland. The portrait of Suleiman by William Hoare of Bath was painted in 1733. Previously known only from a print, the original was believed lost. The Qatar Museums Authority purchased the painting at Christie’s in November 2009. The painting was the subject of export restriction, having been judged by the Reviewing Committee on the Export of Works of Art to be of outstanding importance to the history and culture of Britain. 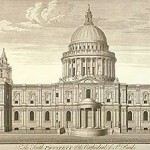 It has been offered to the National Portrait Gallery on a loan agreement, and the portrait is on display at the Gallery.